A man and a woman find themselves in the middle of gruesome heartbreaking events in Russia at the dawn of the Red Revolution and its violent spin off. They love passionately and sacrificially, but history is merciless to them both; it leaves one dead and another suffering unimaginably, and carrying the pain of loss through the rest of her life. Russian history is full of paradoxes and obscurities, and both acts of inconceivable cruelty and incredible heroism. What is important to realize here, is that regardless of whether people lived under Tsar or a Communist leader their historical truth is always in loving their homeland and preserving their dignity. And so, when the country is being divided between two powers that equally share their patriotism, a gigantic split throws the nation into a civil war where everybody is right. Kolchak here is a charismatic figure, a person of many talents and a man of his word. He doesn’t waste time, knows exactly what he wants and where he goes. He has people’s support and earns political recognition. Two women in his life love him dearly, one is his wife, and another is his destined lover. In this movie, released in 2008, what should have been a classic triangle, is not. Instead, there’s a conceptual metaphor where a man has to decide between his homeland from before and after, just as he has to decide between his two women. Unable to make that choice, he allows history to do it for him, and as circumstances isolate him from his wife and child, same circumstances drive Anna, his newly found love, closer. Their story develops during a political drama, a social rapture and a kind of a structural tremor that Russia will never recover from. These events break everything on their way, tear families apart, kill and scar survivors for life. Highly emotionally charged, the movie has spectacular and very reflective photography that is carefully employed as canvas for actors’ splendid and very believable performance, making that thin matter that separates cinema and reality, disappear at times. Based on real facts, this isn’t Russia’s first war movie to praise their imperial past, and it certainly is not the last one. 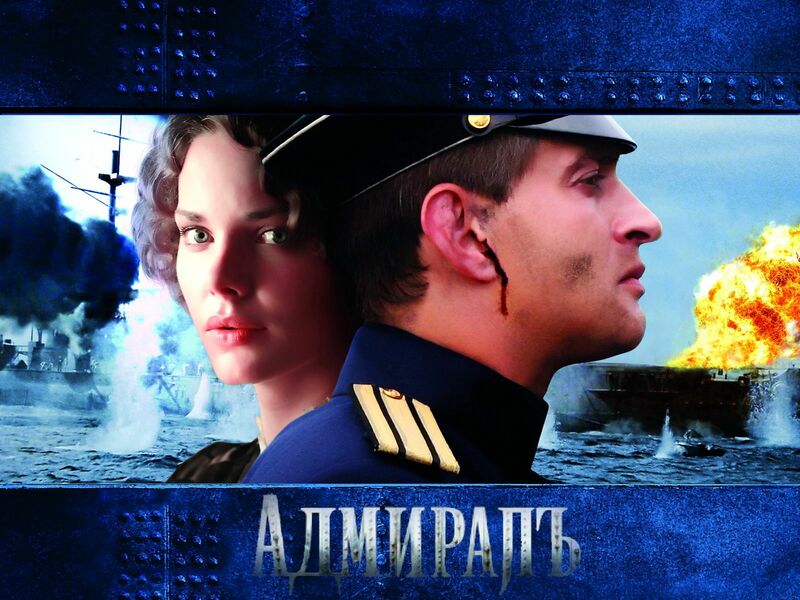 Russia is getting back her uprooted heritage of which Admiral is a beautiful example.